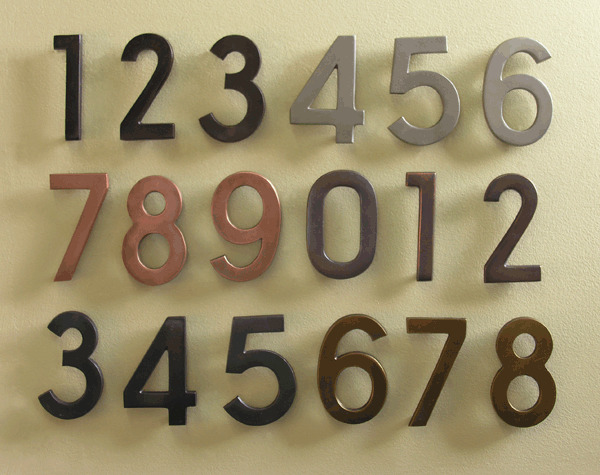 The Modern Steel Wall Mount Mailbox In Nickel is constructed of 18-gauge brass. 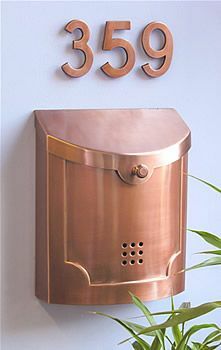 This Ecco mailbox is plated in your choice of bronze, black pewter, satin brass, antique copper, and copper. This beautiful modern mailbox features contemporary styling, easy mail retrieval, and see-through windows. 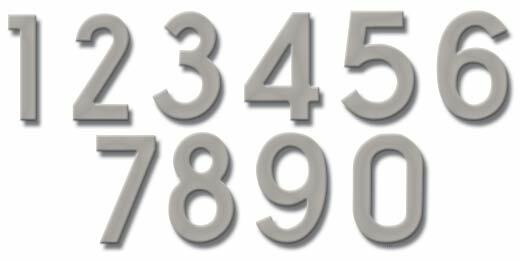 Matching contemporary house numbers are available for consistent design and easy identification. 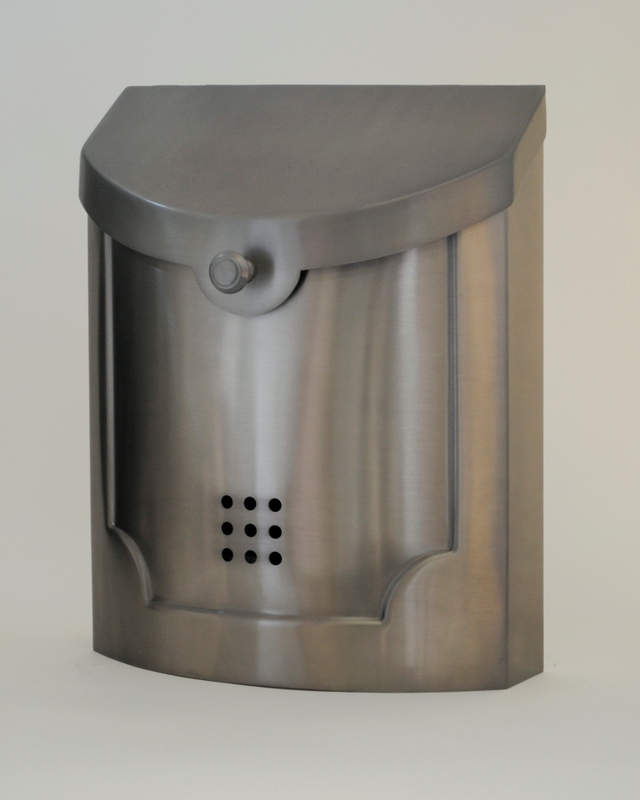 Question: What are the dimensions of this Ecco Mailbox? Answer: 11"W x 14"H x 4.5"D. Thank you.